Would You Like to Sponsor Greendog Foundation? Let’s get this out up front: we LOVE our sponsors. We appreciate everything that all of our volunteers do, and we wouldn’t be able to help the dogs we do, without their support. So, we wanted to make a space on our website to showcase the great companies and people that help out Greendog Foundation every day of the year. 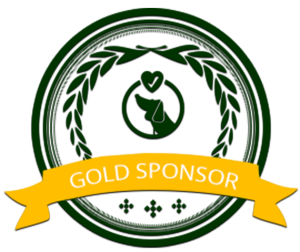 We have 3 levels of sponsorship, and we’d love to discuss them with you if you are interested! Please use the contact form and we’ll get back to you ASAP. Lexxel Funding is California’s leading “Private Money ” lenders specializing in real estate lending thru out California. glad the event was a success. Keep me posted on how I can help out. This is the only insurance broker you will ever need. The founder of GreenDog Foundation has been using Caruso Insurance Services for business insurance, auto insurance and other insurance needs for well over 15 years now and can’t say enough about them. Unlike most businesses, you become family and we have yet to find better pricing on insurance needs elsewhere. The Caruso team has been long-time supporters of GreenDog Foundation and rescue and is always dog-friendly. SillyDoh Is An Orange County Video Production And Web Design Company. We develop responsive websites, corporate videos and augmented reality videos for your business cards, brochures and more! Helen has been a huge supporter of GreenDog Foundation for several years now. Helen helps to raise money for the foundation and provides professional photography to adoptable dogs within the foundation. These images showcase the dogs’ personalities and beautiful souls which helps to build a connection to those looking for their new family member. Helen’s photos are stunning and her patience and time devoted to capturing her subject’s essence is unprecedented.